Did you know you can make round tenons on square stock by using a simple jig and a table saw with dado? FineHomebuilding.com has a video that shows us how simple the jig is, and how easy the whole process is as well. Check out the video and see for yourself. It looks like the most important step to getting accurate roundness, is to make sure that your square stock fits snugly into the hole on the two guiding blocks. The cool thing about the setup is that you can adjust the tenon depth in a matter of seconds. Another thing that you might be able to try, is making your own dowels. Get rid of the table saw fence depth stop and add two more guides with fitted holes on the other side. Now you can feed you material straight through and make dowel rod out of the material you already have on hand. This could be dangerous though, so try at your own risk. A round tenon is a solid way to secure a baluster to a deck railing. 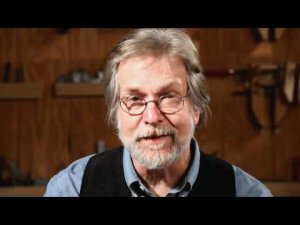 Chuck Miller shows how to make a simple jig to cut your own in this episode of "There's a Better Way."